I'm completely obsessed with this outfit at the moment. It is so incredibly comfortable yet I think so stylish and just perfect for the weather we're having. 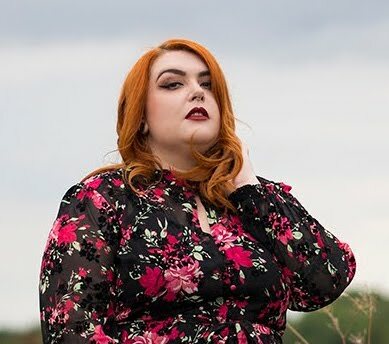 It's entirely by ELVI who you have probably noticed I am adoring at the moment - their transitional pieces like this jumper are just so beautiful, so easy to wear and of such good quality. This Soft Striped High Neck Top (£65.00*) is utterly gorgeous with its subtle striping. 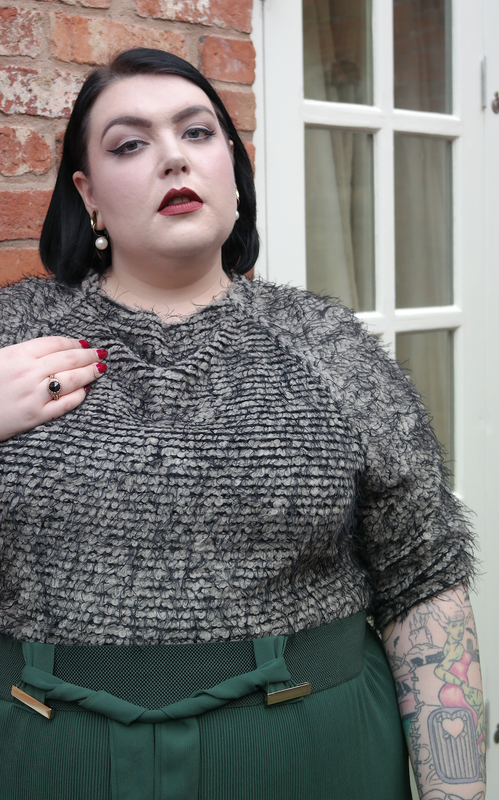 chic black and grey colour palette, fabulous relaxed cropped fit and super soft fluffy feel. 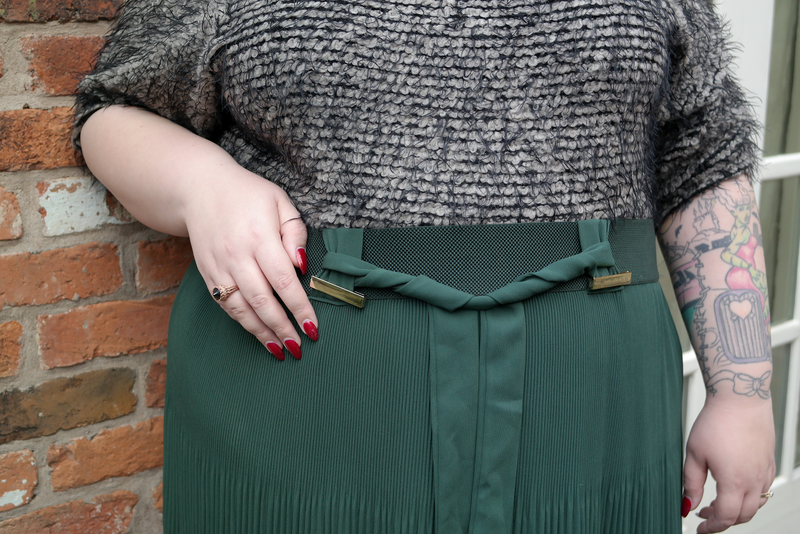 I just don't want to take it off having teamed it with jeans, culottes and midi skirts, however my favourite is this look tucking it into a wonderful skirt that I bought in the ELVI Winter sale. This is the Long Flowing Pleated Skirt which has been reduced from £49 to £29 so it's real bargain for such a lovely piece. The narrow pleating is perfect with the weight of the fabric, making it hang and move beautifully and the gold detailing to the waist sets of the hunter green hue wonderfully. My only gripe is that the belt was too short so I couldn't actually wrap it round my waist and tie it, but as you can see I got around that with a bit of artful twisting. With a nice deep red lip and some black and gold boots this really is the ultimate Winter look, cosy and chic and oh so easy to throw together. Thank you ELVI for fulfilling my transitional wardrobe dreams!